We worked with our client ABCUL to create a fully comprehensive and effective marketing campaign. 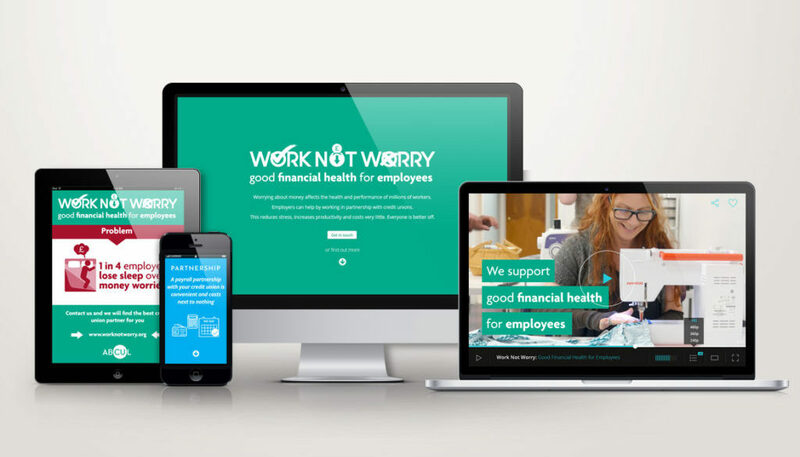 ‘Work Not Worry’ aims to promote good financial health for employees through partnerships between employers and Credit Unions. Alpha Communication were involved through the whole process from the initial creation and development, right to through to the design, implementation and delivery of the campaign. A ‘full package’ of digital materials were provided for the campaign including: brand design & development, campaign website, infographics, social media graphics, video and animation – as well as consultancy on marketing strategies, PR, social media and delivery of the campaign to ABCUL members.